Un séjour de 6 jours inoubliable à Friendz resort, grâce à un super Staff, des rencontres exceptionnelles et une ambiance de folie. Best trip ever ! Thank you ! Super séjour chez Frendz. Le staff est adorable et se pli en 4 pour ses clients, les chambres et parties communes sont propres et très bien entretenues. Des soirées Pasta Free, Happy Hour ou encore la soirée du jour de l’an ont été de super moments. Very great hostel! 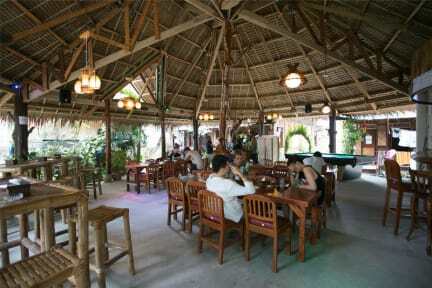 Clean, 2 min walk from white beach, great ambiance, great staff, I would definitely go back! Way better than mad monkey. The staff were so nice , we had a private room and our toilet clogged right in the middle of pasta night. The staff were very fast to fix it. The vibe is great so close to the beach and the party zone. The fact that the bar closes at 11pm is good if your not feeling it. Would go back there again. I recommend for the people who want to party. The place is noisy. The staff and atmosphere are super cool ! Closed the beach and restaurants.